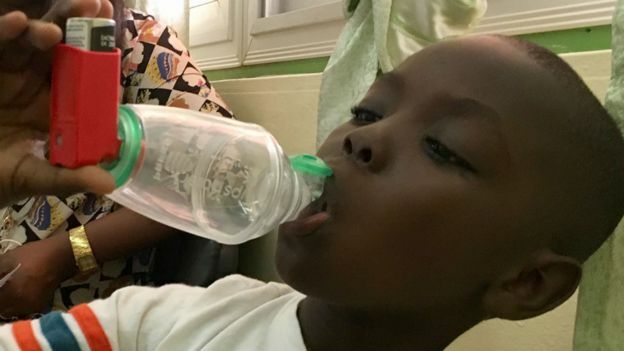 Two-year-old Thayi loves the aerosol therapy room at Senegal's Albert Royer Children's Hospital, where she gets to fall asleep on her mother's lap, breathing deeply - something that is usually hard to do. 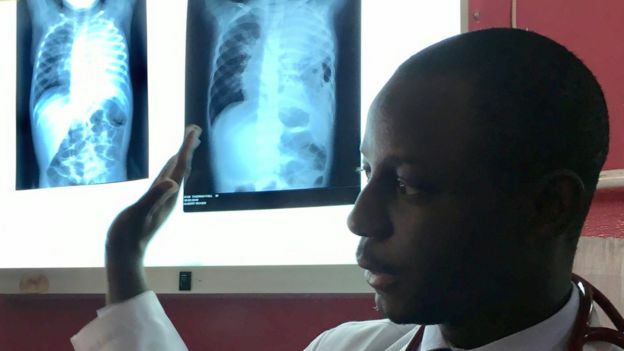 Dr Idrissa Ba, who has been working there for 15 years, says the number of patients keeps growing and growing - something he thinks is linked to worsening air quality in the city. ir pollution: What is particulate matter (PM)? These particles can reach deep into the body with the danger of causing lasting damage to people's health. In Dakar, the average levels are 146 for PM10 - seven times more than recommended - and 30 for PM2.5. This is according to Senegal's centre for air quality control, whose director, Aminata Mbow Diokhané, says it is important to understand that most cities do not respect the recommendations. This means cars using "dirty fuel" emit more toxic gas considered a major pollutant. 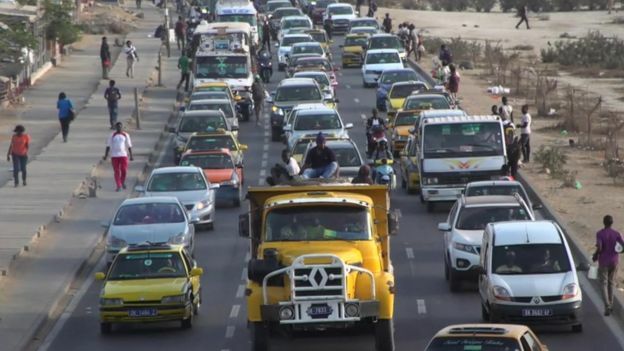 "Today the diesel standards in Senegal are still at 5,000 parts per million as compared to Europe at 10 parts per million," Jane Akumu, a spokeswoman for the UN Environment's Air Quality and Mobility Unit told the BBC. "The good news is that in December 2018, technical experts from the region met in Abidjan [in Ivory Coast] and agreed to harmonise low sulphur fuel standards in a number of West African countries," Ms Akumu said. "We've done studies on the impact of pollution on children's health and we concluded there is a very significant correlation between the level of small particles and the number of patients having asthma attacks," he says. "Pollution is a problem that affects everyone so the response must be global, but people should also be more responsible, pollute less," he says. "It's true that we have a problem with car pollution but here people also burn their rubbish outside in the open, for example." His mother, who prefers to remain anonymous, watches over her fragile child, whispering: "My message to other parents is that they should be vigilant and keep an eye on their children's health." "We know that many young children who have asthma, infections, allergies, if we don't treat them early, their pulmonary capacity can be reduced by 10%."